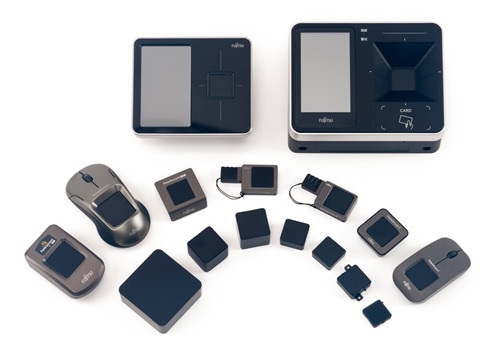 Fujitsu Limited and Fujitsu Frontech Limited today announced that cumulative sales of the Fujitsu Biometric Authentication PalmSecure palm vein authentication sensor series, manufactured and sold by the two companies, has now broken through the one million unit mark. About 73 million people in approximately 60 countries around the world interact with this technology daily as a security measure for a broad range of personal authentication tasks, including for ATMs, PC logins, and room entry management. Palm vein authentication is a biometric verification method that can accurately and instantaneously confirm an individual’s identity by reading vein patterns in the palm of the hand without direct contact. This technology was first developed by Fujitsu Laboratories Ltd. in 2003, with Fujitsu and Fujitsu Frontech initiating sales in 2004. Since then, Fujitsu has refined the technology in a number of ways, improving the speed and accuracy of the sensor’s authentication and reducing the size of the sensor. Fujitsu Group will continue to offer the palm vein authentication sensor, which simultaneously delivers advanced security and convenience, as well as various related solutions and services going forward. PalmSecure differentiates and authenticates individuals by their vein patterns, which differ for each individual. The technology takes advantage of a unique characteristic of hemoglobin-its absorption of infrared light and black appearance in infrared imaging-as it returns to the lungs through veins beneath the skin in the palm. Unlike other biometric authentication methods that use information on the outside of the body, this technology makes use of biometric data from inside the body, offering protection from falsification or spoofing. Fujitsu’s PalmSecure technology also delivers high authentication accuracy, with a less than 0.01% chance of rejection error (with one retry), and a less than 0.00001% chance of accepting the wrong person(1). Authentication of users takes an instant by merely holding their hand naturally over the sensor, making the technology easy to use. The sensor is also contactless, ensuring that the verification process not only remains sanitary, but also largely avoids the impact of external factors including abrasion or dirt on the skin of the hand, sweat, or dryness. PalmSecure makes verification and registration easy for users-vein patterns do not change after early childhood, meaning that users can continue to utilize this technology indefinitely once registered, eliminating the need for re-registration. Going forward, Fujitsu and Fujitsu Frontech will continue to enhance the accuracy of its PalmSecure palm vein authentication technology even further. By looking beyond the achievement of this most recent sales milestone, Fujitsu demonstrates its continued commitment to contributing to customer security measures, as well as to expanding the use of palm vein authentication technology around the world in a variety of contexts, including in areas with increasingly high demand, like cashless and cardless payments.